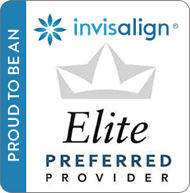 Dr. Marvizi is an ELITE Preferred Invisalign Provider Here in the Bixby Knolls Area of Long Beach and Will Straighten Your Teeth Without Metal or Wire! With Invisalign clear teeth aligners, Long Beach dentist and Elite Invisalign Provider Dr. Marvizi will straighten your teeth to give you that beautiful smile without having to wear uncomfortable and unattractive metal braces. Invisalign uses a series of virtually invisible plastic “aligners” that fit snugly over your teeth and gradually shift them into place. They are removable so you can eat anything you want and will be able to easily brush and floss. Invisalign is an orthodontic system that relies on a series of trays, called aligners, to gently realign your teeth over time. The aligners are made of clear plastic, making them nearly invisible while they’re being worn, and they’re also removable. The Invisalign process begins with Dr. Marvizi taking an impression or mold of your teeth that shows how your teeth are currently misaligned. The impression is scanned into a computer that uses special software to make a series of 3-D models of your teeth. Each model shows how your teeth will need to move in order to become properly aligned. The plastic aligners will be designed based on each of these models so that, when worn in the proper order, they can slowly shift your teeth into their proper positions. Most people will need between 18 and 30 aligners, changed every two weeks or so, to complete treatment. Each tray is customized to your mouth shape, so most patients can see results much more quickly. Life is hard enough without worrying about having food smashed in your braces. With Invisalign Teen, we take away the hard part – rubber bands, metal, pain! – and put you on the path to a winning smile! We know you’re busy, and Invisalign Teen fits in with your life. Of course you want to look great at prom or smile naturally in your school pictures, and with these clear aligners you won’t hesitate to be you. They’re also much more comfortable than metal braces that can irritate the delicate tissue inside your mouth. Get That Beautiful Smile You’ve Been Wanting!